A chemical company whose failings led to an explosion at a Teesside site has been hit with a bill of more than £170,000 by the courts. 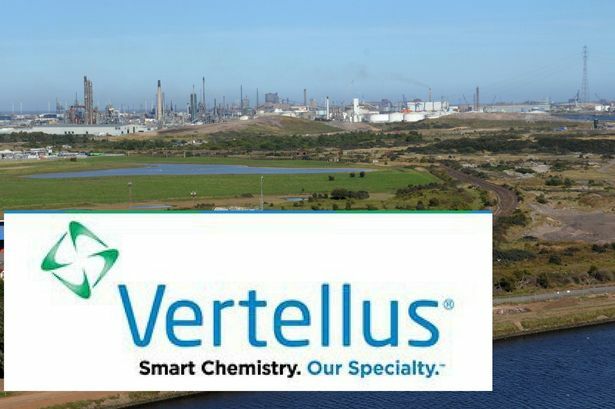 Vertellus Specialties (VSUK) was prosecuted after a major fire at the Seal Sands site on May 14, 2014. The 3am blaze sparked a loud explosion and “fireball”, with 11 fire engines, an ambulance and a police helicopter called to the scene. Firefighters saw more explosions after the fire appeared to die down, and had the complex task of battling a blaze involving water-reactive chemicals. The Seal Sands Road had to be closed and police sent out a public message advising people to close their doors and windows. Cleveland Police declared it a “major incident”. The firm was using heated ovens or “hot boxes” to heat up sealed drums containing Vitride, a reactive metal in a flammable solvent, Teesside Crown Court heard today. Rosalind Scott Bell, prosecuting for the Health and Safety Executive (HSE), told the court there was “significant risk to life” as a large fire started in one of the ovens. She said: “There were a number of members of staff on site at the time when the explosion took place. She told how site senior management were told the hot box had been overheating that day, but did not intervene to stop the operation. She said the company had carried out an “inadequate and flawed” risk assessment, wrongly concluding the operation was “low risk”. She said it failed to ensure enough measures were in place to control temperature and pressure, with unreliable equipment and an incorrectly set alarm. She detailed other failings to assess safety implications, identify potential problems, test or maintain the hot boxes properly or ensure the area around them was safe. The company had “very limited understanding of their own equipment and inadequate maintenance and testing of that equipment”. Staff wrongly believed there was an automatic trip if the temperatures rose too high, said Ms Scott Bell. The HSE said the firm should have found a safer way to process the chemical. The company pleaded guilty to failing to take measures to prevent major accidents and limit their consequences. Dominic Kay QC, defending, said VSUK carried out a six-week exercise of planning, assessment and testing before it started the work. He told the court: “These are not stupid or reckless people. They genuinely believed that this was going to be an appropriately safe method of undertaking the testing work. “This isolated incident is a source of enormous and very genuine regret as far as this company is concerned. “This is a company of engineers, scientists, chemists and health and safety professionals. Judge Howard Crowson said: “The exact cause of ignition is not known. “It is accepted the fire was the responsibility of the company as a consequence of their breach of duty. “The company didn’t carry out a sufficiently rigorous examination of risk. Taking into account a previous good safety record, he fined VSUK - which has a turnover of about £25m - £135,000 with £37,653 costs. After the hearing, VSUK said: “The company deeply regrets the incident and has taken all necessary steps to prevent reoccurrence. “In the period following the incident, the company cooperated fully with the investigation of the Health and Safety Executive. “The company is committed to safe operations, compliance with all applicable law and regulations, and adherence to the highest ethical standards of conduct in all business activities. Join our Business Directory – Special price just £99 for 12 months!! Let US promote YOU for just £49 for 12 months!